Capability is never a question with the 2018 INFINITI QX30. This luxury crossover features a dual clutch transmission that makes shifting gears smooth and quick. Drive Mode Selector and numerous safety features allow you to stay in control in virtually any traffic conditions. It’s designed with a sculpted exterior and plenty of in-vehicle comforts and conveniences. The touchscreen and Bluetooth® makes it easy to send texts and make calls, while the available 10-speaker Bose® Premium Audio System turns the cabin into a concert hall. 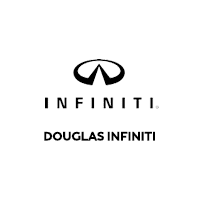 Get to know the 2018 QX30 by visiting Douglas INFINITI in Summit, New Jersey.